It is located in Bangalore, Karnataka. The place is also called as ‘RPC Layout’. Vijayanagara is well connected by road from Mysore Road and Majestic, being only a few paces away from the West of Chord Road. Bangalore, being the IT Capital of India is well connected by Air and Rail. Sukrutham Ayurveda is found up on the same values that drives its mother institution of Sukrutham Ayurveda Chikitsalayam. A strict adherence to the principles and ethics lay down by Ayurveda and a commitment to provide cost effective therapies to the ailing constitutes our core principles. Our center at Vijayanagara, Bangalore started functioning since July 2008 and within this short period of time. Sukrutham Ayurveda has made steady inroads into the hearts of those patients who look up to Ayurveda for providing answers to their health problems. It is equipped with a 24-hour medical dispensary, dispensing quality medicines of Vaidyaratnam Oushadhasala, a renowned Kerala based Ayurvedic Manufacturing firm. Sukrutham Ayurveda is fully equipped to perform the Sodhana module of treatments prescribed by the physicians. This module requires a more intensive approach involving a range of purify therapies and can be performed only under the strict supervision of a physician. 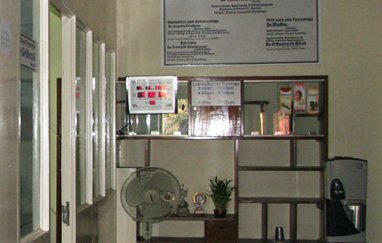 Two well equipped treatment rooms with wooden Paathis (special Kerala treatment cots) facilitate the performance of therapies like Abhyanga, Svedana, Shirodhara, Vasti etcetera. A wooden Sauna chamber has also been added to provide a value added service to those seeking preventive. We provide the following therapies at our center. Patients have to note that these are intended for their awareness. The selection of a particular treatment procedure for an individual involves a thorough consideration of the stage of disease and the nature (Prakruti) of the individual, which is entirely based on the expert discretion of the Physician. The treatments are: Snehana, Abhyanga, Picu, Talam, Svedana, Choorna, Sveda (Podikkizhi), Patra Pinda Sveda (Elakkizhi), Shashtika Sali Pinda Sveda (Njavarakkizhi), Mamsa Pinda Sveda (Mamsakkizhi), Kayasekam (Pizhichil), Bashpasveda, Annalepana, Ksheeradhooma, Avagaha Sveda, Upanaha Sveda, Kati Vasti, Janu Vasti, Greeva Vasti, Taila Dhara, Takra, Dhara, Dhanyamla Dhara, Basti Karma, Virchana Karma, Vamana Karma, Nasya Karma, Pizzichil, Netra Tarpana, Shirodharra, Localized Bastis, Asthapana Vasti, Anuvasana Vasti, MatraVasti, Piccha Vasti, Raktamokshana, Pracchaanna, Jalookavacaranam, Siravedaham. Sukrutham Ayurveda’s core strength has been its dedicated work force. Our chief consultant and resident physician Dr.Giridhara, who is also the patron of Sukrutham’s Bangalore center is a disciple of Dr.Aryadevi and has also had his training under Sri.Gangadharan Vaidyar of C.N.S.Chikitsalayam, who is a stalwart of Balachikitsa (pediatrics) wing of Ayurveda. And also we have dedicated and well trained therapists have been brought from Kerala. Sukrutham Ayurveda hosts a number of specialist physicians from the various specialties of Ayurveda in its Out-Patient Department. Monthly visits by these eminent physicians provide a chance to the patients to have a tertiary level consultation regarding their health problems. Some of our consultants are: Dr.Aryadevi B.A.M - Visiting every second Sunday of the month, Dr.P. Ramesh Bhat M.S(Ayu) PhD(B.H.U) -Ayurveda surgery –Piles and fistula specialist - Visiting every Wednesday, Dr. Seema Pradeep M.D (Ayu) (Gynecology) - Visiting every Saturday, Dr.Madhu.K.P M.D (Ayu) – Visiting every second Sunday of the month, Dr.Sreejith Sreekumar B.A.M.S, P.G.D.C.R- Visiting every third Sunday of the month. SUKRUTHAM AYURVEDA is designed to cater to both the SAMANA and SODHANA modules of Ayurvedic treatment. ‘SAMANA’ indicates a less intensive treatment module where a disease is treated with a range of Internal and external medications that can be taken by the patient remaining at his/her own home. We provide only organic food and some from our garden. Address: 2286, 4th Cross, 4th Main, Vijayanagar-2nd stage, Bangalore – 560040, Karnataka.